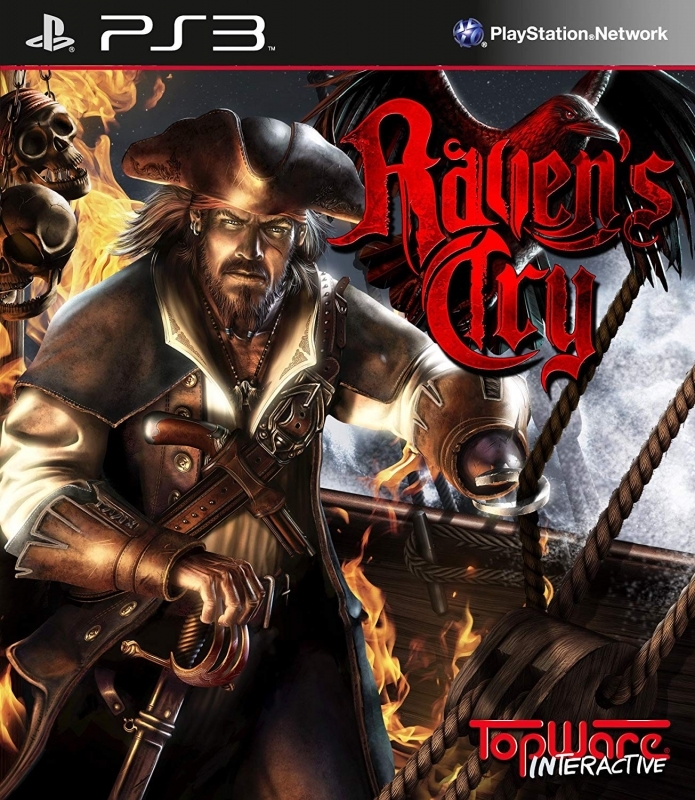 Step into the boots of the vicious pirate Christopher Raven and get revenge on the men who killed your family and took your hand. Explore the Caribbean on land and sea, slaying your enemies with a combination of blades, bullets and cannon-fire. Vendetta’s free-flowing combat system allows you to dispatch your foes in a variety of brutal ways; use blocks, counters, parries, pistols, combos and devastating finishing moves utilizing Christopher's hook to strike terror into the hearts of your enemies. Even your raven can be used to confuse and blind your foes, leaving them open for a well-placed sword strike, or a bullet from your trusty flintlock. Set sail on your fully customizable ship, and hunt for treasure, intercept and loot ships, or go on a rampage in free-sailing mode. Buy and sell weapons at one of the merchant shops, collect herbs and create potions with the alchemy skill, and gain experience to upgrade your fighting moves and skills. 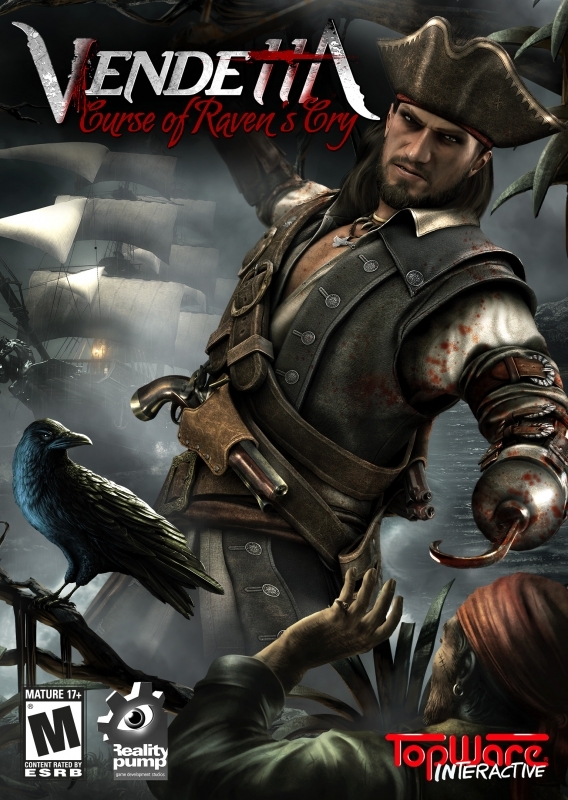 Become Captain Christopher Raven and carve a bloody path through the Caribbean as you hunt down the men who killed your family. A robust, free-flowing combat system allows you to become the scourge of the open-world Caribbean on land, and the realistic, in-depth naval combat will have you ruling the seas as you command a variety of historical vessels. 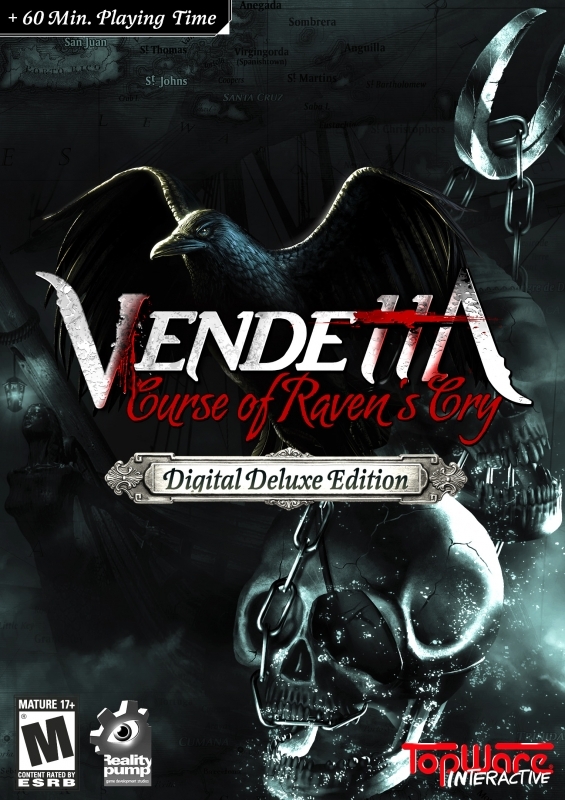 Load your flintlocks, and sharpen your blades; Vendetta: Curse of Raven's Cry is here. An epic storyline set in the 18th century Caribbean, with a brutal anti-hero and sinister villains. 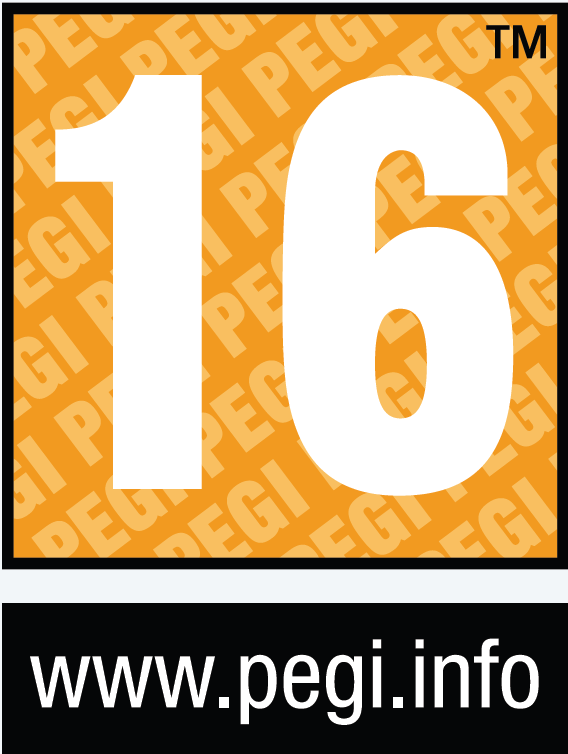 Hours of immersive videos and cut-scenes. Open-world gameplay, complete with free-sailing and dozens of locations to explore on both land and sea. 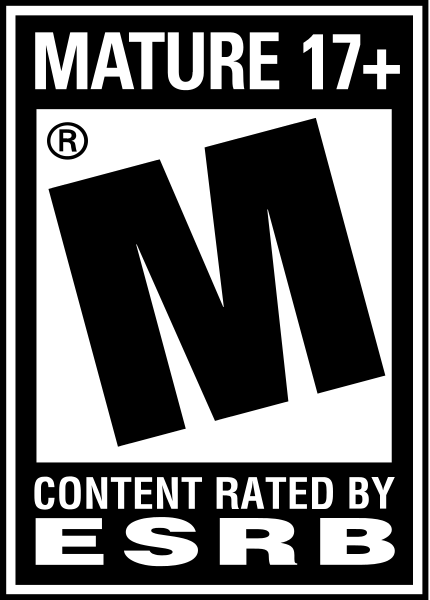 Player notoriety system will affect how other characters react, how heavily a player will be hunted in a given area, and even perks and skill trees will be affected depending on Christopher’s current reputation. Dynamic combat system with combos, slow-motion effects, finishing moves and a large arsenal of melee and ranged weapons, including Christopher’s hook and sword. Complex skill tree with a multitude of branching upgrades to enhance your tactics, combat moves, weapons, ships, and your raven. Upgrade ships in a variety of ways, including retrofitting your hull for extra provisions and increased defense, multiple types of ship repairs, upgradeable cannons, sails and more. Realistic economic system with a wide variety of merchants and trading posts located throughout the Caribbean. Highly interactive game world with numerous opportunities for sea battles, looting and pillaging, treasure hunts and exploration. Dozens of side-quests scattered throughout the colonies, from secret pirate hideouts to savage cannibal camps.